Vodafone has successfully completed the first commercial use of software-defined networking (SDN) to control a microwave transport network, paving the way for greater efficiencies with 5G. The use of SDN and Network Function Virtualisation (NFV) technologies is one of the defining characteristics of 5G, making radio, core and transport networks more agile and intelligent. This enables the faster rollout of services and makes the whole network infrastructure more efficient. The transport network transmits packet data between two parts of the overall network. 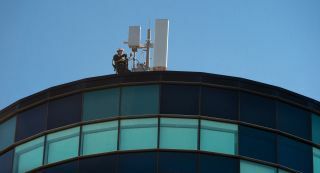 For example, backhaul is used to transfer data from the base station to the core network. Fibre or copper connections are often used to facilitate this exchange, but many operators use microwaves as a low-cost option for areas where fixed coverage is lacking or is expensive. Vodafone’s pilot in Italy demonstrated the demonstrated the potential of automated control and programmability of microwave backhaul in a real-life setting. This makes the connection more efficient and because it uses existing equipment, extends the life of operator’s investments. Siae Microelettronica’s Domain Controller (SM-DC) was deployed on a live network and was able to automatically discover, geo-reference and dynamically update the network, while automatically configuring new services, saving time and reducing errors. The controller was also able to reduce energy consumption when network demand was low, such as overnight, and is able to dynamically change these settings. Vodafone has called the test an “important milestone” in the transformation of the transport aspect to 5G and now wants to integrate the technology into the full orchestration chain.